I’m back with my monthly Mollie Makes make. I loved the look of the latest kit which was an Easy Sew Banner Kit. I love banners and have made some paper motivational banners with my children, as well as a fabric motivational banner for a recent swap. 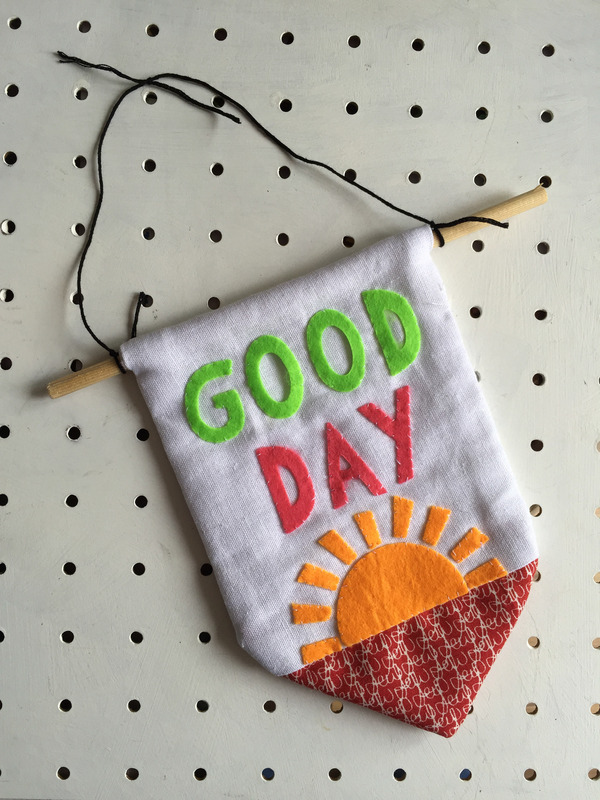 The Mollie Makes Easy Sew Banner Kit contained red and white fabric, pre-cut felt shapes, a piece of dowel, needles and thread. I wanted to make this kit straight away but finished my Union Jack quilt first. This wall hanging kit was a lovely simple project to pick up after I had finished it except I could not understand the instructions! I kept reading them over but they didn’t make any sense to me. So I made up my own version. I found some white muslin, red fabric and made a slightly larger banner using the paper template in Mollie Makes. I added a piece of batting between the layers to give it some strength. I used my machine to sew it inside out then turned it the right way, positioning the dowel and hand stitching the top closed. I didn’t have any fabric glue so hand stitched the letters and sun in place. 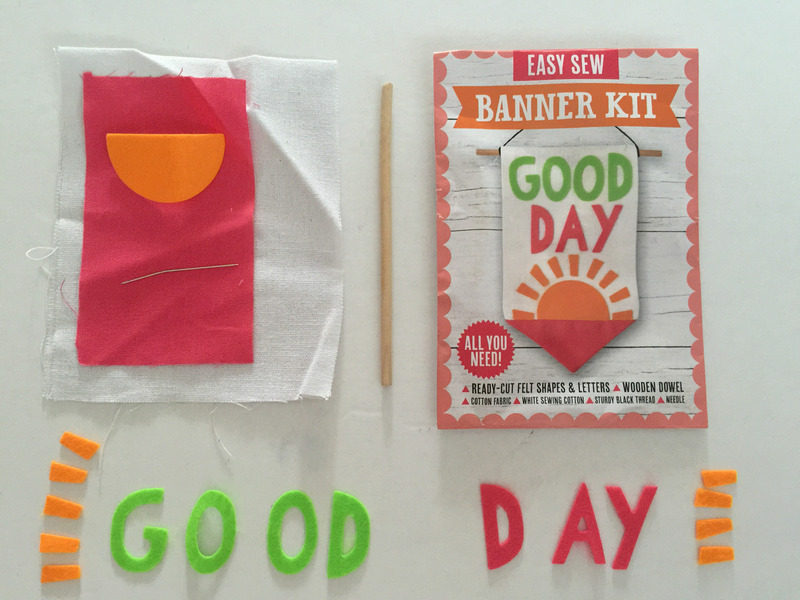 What do you think of the Good Day banner DIY kit by #makeitsewcial host, Allison Sadler ? I think it’s the sweetest little project I’ve made in a while.